An exclusive, spacious and bright apartment located in the heart of Eixample just 5 minutes walk from the Sagrada Familia, 15 Paseo de Gracia and the Parc G�ell and other high popularity of the city. 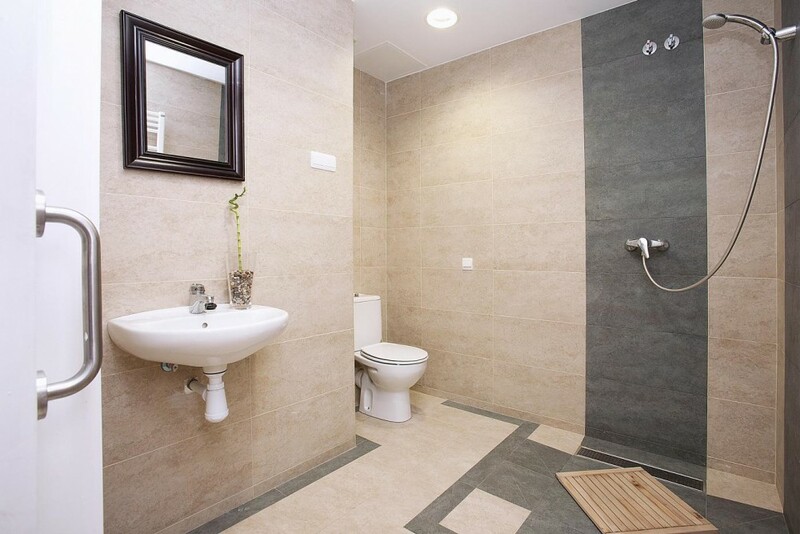 This on the first floor of a typical building of Barcelona and spans almost the entire floor with spacious common areas. Very well furnished and equipped with every comfort, is a very quiet, considering the proximity to many shops and bars. It has 10 beds spread over 5 different rooms, two of which have their own bathrooms and there are three bathrooms in the rest of the house. In both salines two sofa beds that offer the possibility to accommodate 4 people, also perfect to relax a bit. There are comfortable chairs that give it a very cozy atmosphere. A small kitchenette which offers the possibility to prepare for you and your friends a meal that you can eat in the dining room where you enter up to 16 people. You will be provided with everything you need: fridge, washing machine, coffee maker, toaster, dishes, grinder, etc.. The apartment also has TV, stereo, electric heater, iron, hair dryer, books in English, CD collections, city maps and useful Wi-Fi connection for your PC or Smartphones. The large terrace is the ideal place to relax, read a book or take a light breakfast in the morning with all your friends.